Discussion in 'Content Creation' started by Lannister10, Dec 29, 2014. I'm the only writer in this. No composition group/writing team, just me and my steady fingers. I like to work with a few enduring clients so I can truly delve into their niches. I can write all kinds of content including product reviews, Web contents, Blog articles, Press releases, Sales pitch etc. Very happy with my first request - fast TAT, professional service. Quality content, thanks for everything. I ordered a couple articles and they were done correctly the first time. The articles were rich in content which is exactly what i wanted for seo purposes. I will be using their services more often now. Thanks for the quick turnaround. King Manu and Content Maestro like this. Your title's quite catchy. I've given your post a 'like' because I can't 'like' the title. Hope you don't mind writing one for me. Why not? Add me on Skype and I'll provide you catchier title today. Thanks for your appreciation. You're welcome. Well, I'm not on Skype but I'll definitely send you a PM whenever I need one. Good luck. what kind of niches are you specialized at..if you know every thing its bit unbelievable,,everyone have specialized in one thing hope you got my point,,,you can write but we have to make sure they are not copied from some where else,,coz it little hard and take lots of time and efforts to know every thing so pls explain to your audience,,if i not noticed what are your expertise!! You're right! I'm very good at product reviews. I've composed more than 1000 product reviews and numerous purchasing guides. I will research your theme heavily. I'll even write down the sources I got my information from. Thanks for your feedback Daniel. Just a question ..you only do article review only write or are you doing video presentation too..
Ok thanks we can help each other thats great! I would like to check the Product reviews & Purchasing guides you have written and about the blog articles written by you? Provide contact details of yours also in the message. PM sent! Waiting for your reply. I will need some content writing some time soon, send me a PM with your contact details so we can discuss my requirements. 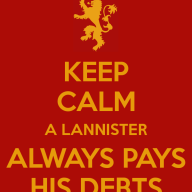 I have used Lannister for many articles and satisfied with the content quality. I regularly use the content for my main websites as they are of top notch quality and would recommend his service to anybody looking for quality content at a throwaway price. Also, I have never had issues with delays, false promises and spun content as is the issue with other content providers. What exactly is "money site content"? As I guess, a 'money site' is probably a site that deals with niches related to or involving finance and business or anything that involves money in general. So, 'money site content' must mean content written for such a site. Another definition for 'money site' is given here – http://digitalmarketing-glossary.com/What-is-Money-site-definition. In digital marketing schemes and especially in link schemes, the term "money site" refers to the website we want to promote. It is said money site as it is where money is finally earned. The term money site is used to differentiate the latter from all other sites or pages which may have been created for SEO purpose - domain satellites for instance. In link shemes, backlincks or first tier backlinks point to the money site. Just what I figured out anyway. The OP can best explain though. Thanks. I was curious to know what Lannister10 considered to be a "money site" and how she would determine if the content was for one or not to request a $1.50 / 100 words. "Money sites" are not all created equal. It's a broad term that covers many different types of sites. Clients do not always disclose where the content will be used. What limits the risk of clients purchasing content at $1.00 / 100 words with the intent of using it on a "money site"? Unless the client wants wording that is very specific, how would it be determined that the asking price is $1.50 / 100 words versus a $1.00 / 100 words? pianogirl and Content Maestro like this. Maybe I haven't got you correct, but I think what you're implying here is it's not a good idea to quote a fixed rate for content that's being written for 'money sites', since it's a very broad concept which embraces many different types of sites. Again, when the client is not clear about where the content will ultimately be put up, they intend, in most cases, to sell it to other buyers for a greater price. The writer is at a tremendous loss here. E.g., a buyer, who is actually just a middleman, will buy content from me at a cheap rate of $1 per 100 words and then sell it someplace for $3 per 100 words. I, as the writer and the very first seller in this case, lose $2 per 100 words which I deserved for my time, effort and quality. The best way out is to charge per hour when the requirements or specifications of a project are uncertain. If you do not know how many working hours the completion of a project might consume, charging a low or even your normal rate can be quite frustrating since uncertain projects normally take a long time to be completed as per my experience. No one wants to spend hours or days together working on something long-drawn-out and then getting paid peanuts or unsatisfactorily in return. Another point is the amount of changes that happen during an uncertain project. Clients almost always change some crucial things at the last moment and the content ready to be released and published often goes for another several edits. Moreover, when the purpose of the project is obscure and the client is experimenting with different types of content, the no. of edits required are high and it's overburdening or tiring for the writer. A great amount of time is spent consequently in such cases. Again, when you write for 'money sites' (assuming the definition considered above is precisely what the OP means), which in and of themselves have a very broad scope and are inherently less defined in nature, you need to come up with a lot of new ideas to make the content engaging and appealing. It demands a great amount of research which in turn is quite a time-consuming chore. EDIT: DON'T intend to derail the thread, but I'll be happy if my inputs help esp. the OP.